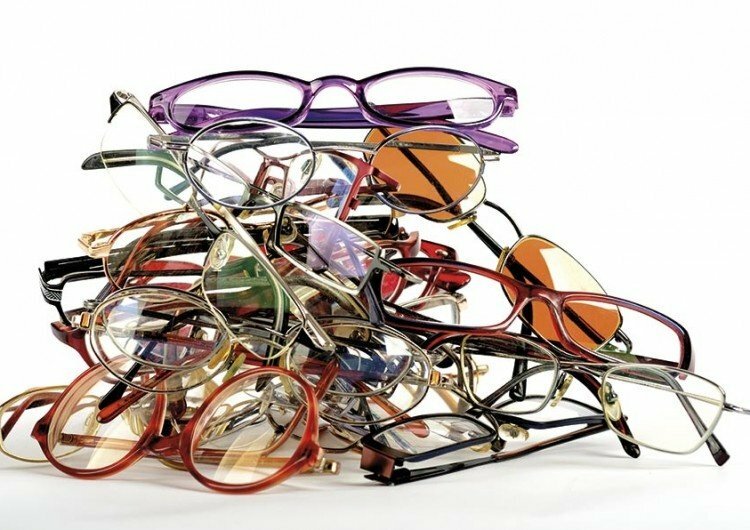 Donate your used eyeglasses. Lions collect used eyeglasses which are then turned into useful glasses for many. Cannington Lions collect scrap metal all year long. 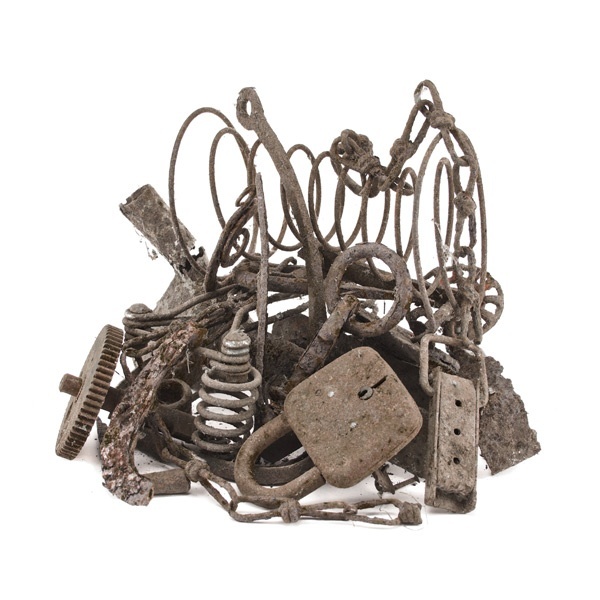 Contact us about any scrap metal you may have and can donate. 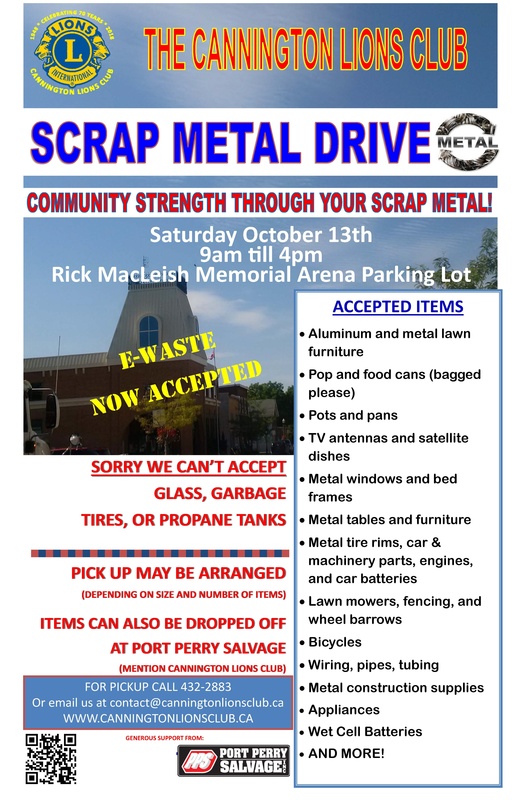 Help turn that scrap metal into community service. More information on our scrap metal page. A very big congratulations to the many students at McCaskills Mills PS who took part in the first Lions Effective Speaking Contest sponsored by The Cannington Lions Club. A thank you as well goes out to the staff at MMPS who helped organize and run the event. And lastly a big thank you to the judges who had a very hard time picking the winners of the contest in both the Junior and Intermediate levels. First place winners will go on to The Lions District Effective Speaking contest in Markham on March 23rd. Every student who took part showed courage and maturity in just choosing to try and speak in front of an audience (many for the first time). All of these students should be very proud of what they did. 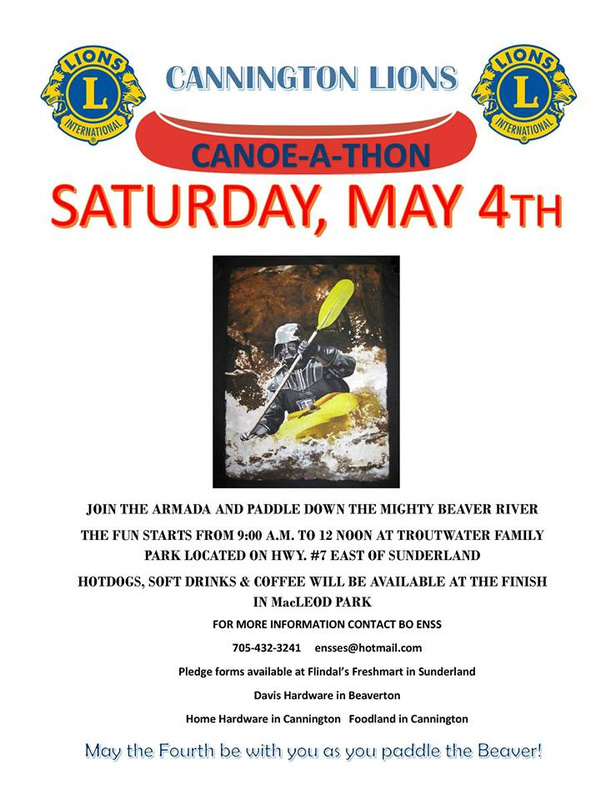 The Cannington Lions Club sincerely hopes they all try again next year.... practice makes perfect. It is with profound sadness that The Cannington Lions Club has lost a dedicated member of our Club and a supporter of our community. Lion Cliff Teel has passed away. 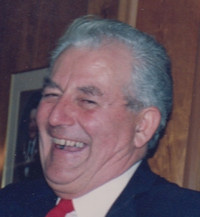 Lion Cliff was a pillar of The Cannington Lions Club. Lion Cliff was always ready to lend a hand to any project. He helped out not only with The Club but also with organizations that The Club supported including Meals on Wheels. Lion Cliff always had a story to tell and he would regularly add to the spirit of comradery at Lions meetings. He will be missed by all of the members of The Cannington Lions Club and our sincere condolences go out to his family and wide circle of friends. Thank you for everything you did Lion Cliff! 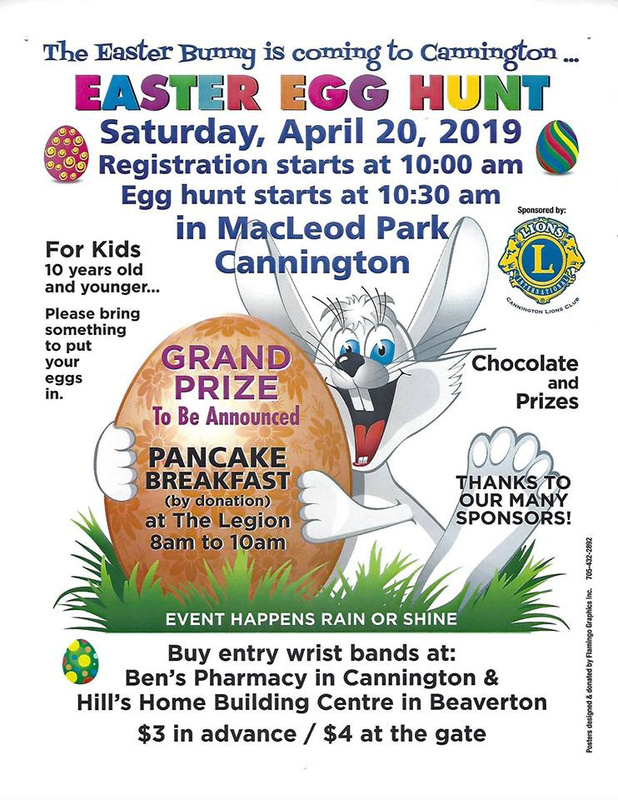 The Cannington Lions Club is planning to develop a formal vision for MacLeod Park which will be adopted by The Township of Brock. 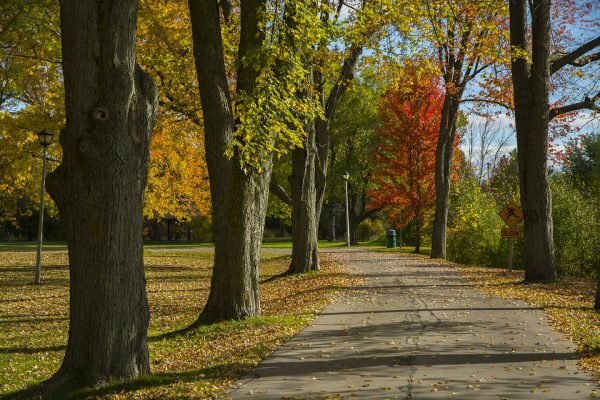 The vision will layout amenities to eventually form a new and enhanced parkland for residents to enjoy. The Club is looking for your input. An open house will take place at The Cannington Lions Club on February 19th where information will be available as well as input from residents gathered. We are also welcoming input via a survey available on The Township of Brock's website. Please help us develop a vision for MacLeod Park to guide future projects and fundraising efforts. It's your park and your Cannington Lions Club wants to help improve it. More information will be posted here shortly about this exciting community project. 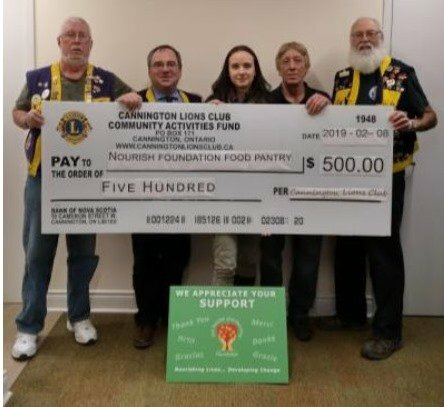 The Cannington Lions Club presented a donation to The Nourish and Develop Foundation Food Pantry. The donation was from proceeds of The Cannington Lions Club's annual Christmas Tree Sales. 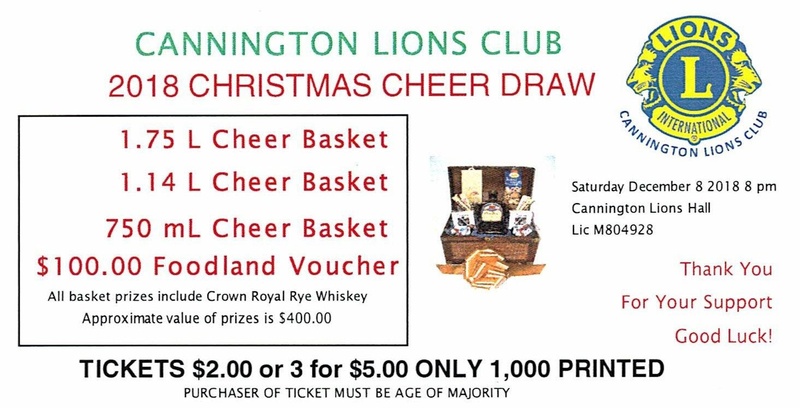 Cannington Lions' annual Christmas Cheer Draw tickets now on sale! CONGRATULATIONS TO THE WINNERS AND THANK YOU! The Cannington Lions Club collects scrap metal all year long. Congratulations to Lisa Schummer The Cannington Lions Club's Canada Day Citizen of The Year 2018!